An article published by CNBC titled “Desperate Measures: Why Some People Fake Their Resumes” summarizes some research on resume fraud. The article reports that at least three out of ten hiring managers had discovered lies, or at least exaggerations, on applicants’ resumes. 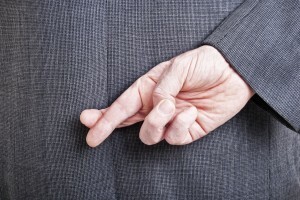 The number of applicants who lie may be increasing somewhat, but it is still a minority. Yet whether resume fraud is getting worse or not is irrelevant in a sense. Employers have to sort out the lies from the truths in order to identify those who are truly most qualified. The most important conclusion in the CNBC article is the belief that people who will lie on a resume lack character in a deeper sense, and are more likely to make poor employees. Therefore, employers need to know how to investigate the claims in a resume. The tactics include skillful interviewing, background screening, credentials verification, and understanding the red flags that pop up in a resume. It is tempting to think that lying on a resume is confined to those lower-level positions where competition is fierce and more applicants have shorter, less impressive track records. Surely the people looking for jobs in the C-suite are better known, more established, and confident in their actual achievements. A C-suite cheat: As Yahoo! seemingly stumbled from one unproductive strategy to another; it tried to right the ship with the hiring of Scott Thompson, a former president of eBay’s PayPal unit, in January, 2012. Within five months, Thompson was fired because an activist shareholder found he had lied on his resume. For reasons unknown, the respected executive stated that he had a degree in computer science when he did not. Why he felt he needed to cheat in this way is as unfathomable as the fact that no one did a simple verification of the claim. Entry-level lies: Thompson’s misrepresentation of his education seems tame in comparison with the brazen fictions invented by Mathew Martoma. Martoma was expelled from Harvard Law School in 1999 for “fabricating his academic transcript” and then trying to cover up the evidence. Known as Ajai Mathew Mariamdani Thomas while at Harvard, he changed his name to Mathew Martoma, was accepted into Stanford’s MBA program, and later went to work for SAC Capital. While at SAC, Martoma participated in egregious insider trading scams until he was finally caught and convicted in 2014. Martoma’s case is chilling because it illustrates how pervasive his cheating was—and how long he was able to get away with it. And to think he was hired to manage money. Cases like these are not common. But they illustrate how important it is to evaluate applicants carefully. To find the resume frauds in a stack of applications, it helps to know the characteristics of fraudsters and what their motivations might be. The concepts of the Fraud Triangle help to illustrate the problem even though the immediate consequence is a poor hire, not a financial loss. Resume frauds probably experience pressure (in the case of resume fraud, envy due to comparison with the more successful), exploit opportunities (job openings), and rationalize their lies (experience a sense of entitlement). Recent research on resume fraud funded by the SHRM Foundation begins to describe the specific factors at work leading some people to lie on a resume. Brian Dineen, Christine Henle, and Michelle Duffy surveyed 369 unemployed job seekers, 272 recruiters, and 51 Masters candidates engaged in job searches. As the story of Mathew Martoma showed, resume frauds may have a pattern of lying or cheating over time. The study authors identify applicants “with lower levels of moral identity” and with histories of deviant behavior as more likely to commit this fraud. Unfortunately, they also find that people who engage in resume fraud get more interviews, and therefore may be more likely to get jobs. In other words, there is a reward for lying, and people willing to exploit the opportunity can be successful. A somewhat more abstract finding was that job seekers who experience envy over the perceived success of others might succumb to fraud in order to compete. These feelings arise from social comparisons that may or may not be valid. Dineen et al. also found that recruiters sometimes misunderstood the reasons for resume cheating. If a recruiter believed that the cheater was forced by circumstances (e.g., a poor job market) into the fraud, he or she was more likely to give the fraudster a chance. The authors emphasize that prehire fraud entails a risk of “negative acts on the job,” and that could include other kinds of fraud. A determined and creative fraudster might get through almost any screening. But equally determined employers can cut down on the incidence of fraudulent behavior on the job with some proven tactics. 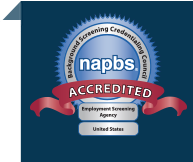 Conduct Pre-Employment Background Screening: The first implication for practice listed in the Dineen study summary is that “background verification services are essential.” This would include both background research using public records as well as verification of claims and credentials. One of the most important things about background data is for employers to take it seriously. It is certainly true that people can be rehabilitated and reformed. But if there is evidence of lying or cheating in a background report, it should be taken very seriously and a search for mitigating factors is imperative. Most people do not change deep elements of their character. Scrutinize the Resume Critically: Resumes may contain red flags that should trigger skepticism and deeper research. For example, an applicant may state they were the CEO of a previous company and that they were there five years. But were they the CEO for five years? The failure to provide specific beginning and ending dates for jobs or usable contact information may hide unflattering details. If possible, go beyond the listed references and talk with other people who may know the candidate. Do not accept the word of a job search firm for an applicant’s qualifications. Be wary of dramatic or exaggerated claims in a self-description, such as “world class” or the “most accomplished” person at some skill or activity. Check that awards and honors are true: it’s easy to make up or even purchase some of these honors. Some very detailed information (e.g., the applicant’s sales successes) may be difficult or impossible to verify, but it may be on the resume because of that. Look at everything around those numbers carefully. Prepare and follow an interview script: A very skilled liar can take control of the interview, just like they control perceptions in ordinary conversation. Make sure they answer the questions posed and record the answers. The core lesson in this article is that resume fraud frequently arises from character flaws. Those flaws are probably on view somewhere in the applicant’s history. It is the employer’s task to uncover that evidence or be left with a potentially less-than-desirable employee.